that is wrapped around this property and greeted by smiling hosts. of the parkland gardens and the panoramic views. and take home with you a new meaning to your life. Yoga, Zen and meditation classes are provided free of charge with your program package. A full 2 or 3 night retreat commences on the first & third Friday of most months. 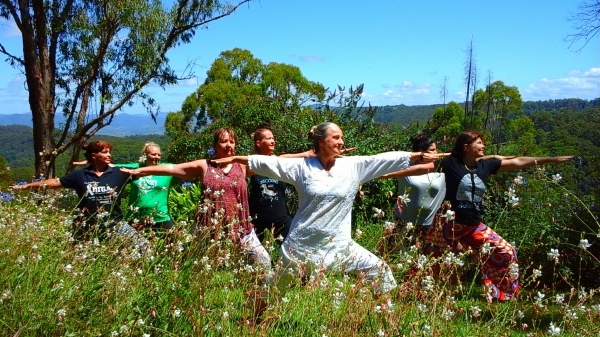 We also hold private retreats for small groups at a time suited to you. In addition, Silent retreats commence on the 2nd Friday of every second month. We accommodate Bed N Breakfast guests when programs are not held. 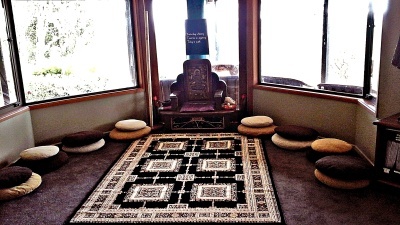 Bed n Breakfast guests can join our teachers in their personal practice of yoga & meditation. The concept of Zen does not conform to a western way of thinking. It is not a religion or a philosophy and it is not a form of psychology like most people think. It can be more closely described as a ‘WAY OF LIBERATION’. Zen is the attainment of emotional contentment, peace of mind and happiness in our lives NOW. to be of benefit to people in the modern world which they now call Mindfulness. Living a life of Mindfulness is living a life in the practice of Zen. 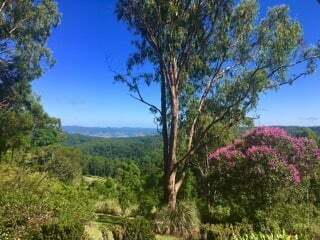 Situated approximately 1hr north of Brisbane - 8km from Maleny. Fushin began his practice of meditation in the late 1970's and the study of Buddhism in the 1990's. 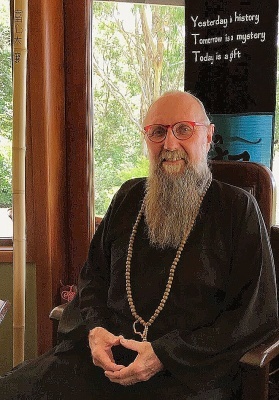 Ordained as a Zen Buddhist Master, he brings the program 40 years of knowledge and understanding. Our Meditation and Yoga room specialises in a maximum of 8 yoga students, keeping the classes small and personal, with the most benefit for you. Surrounded by windows, it invites nature into our space of peace and tranquility. Rose has been studying yoga, meditation and massage therapy for over 30 years. 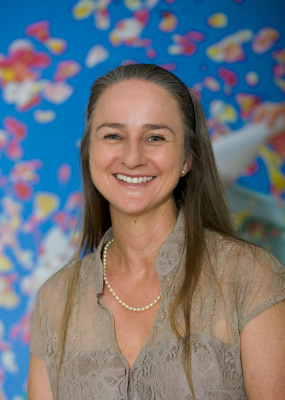 She believes in keeping the practice gentle yet challenging using her knowledge of both the physical and psychological self. The Zen Buddhist and Yoga Retreat is not a resort selling expensive accommodation and adding some daily yoga to an already expensive spa package. We are a serious Yoga, Meditation and Zen Knowledge program for students from beginners to intermediate levels. Guests can join in with as little or as many sessions as they require to find the peace and relaxation that we are all searching for. The Retreat is secluded, offering panoramic views and an abundance of birdlife. and 1 hour north of Brisbane. Our program runs harmoniously with both the Yoga and Zen proponents starting the 1st, 2nd and 3rd Fridays of most months. This can change. If you are a group of 6 - 8 people, we will run a 2 or 3 night retreat exclusively for you at anytime. 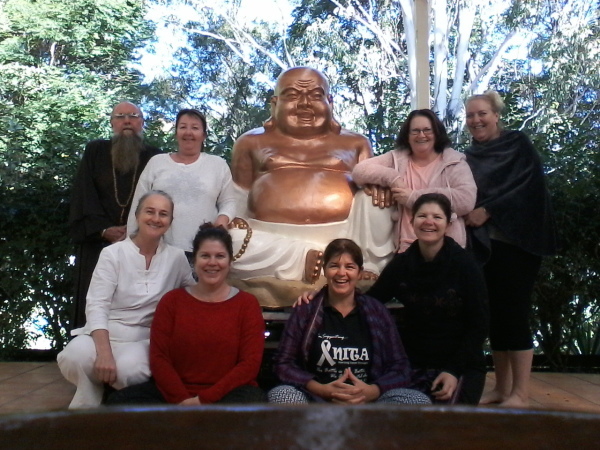 The Zen Centre will run a 5 night program between Christmas and New year. Spaces are limited at all retreats. The Yoga portion of the program will aid with the improvement of the physical health of the body and strengthen the spirit, becoming aware of the interaction between body and mind and the self. of peace and silence within.